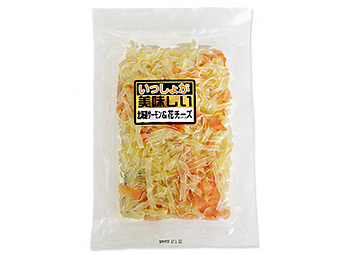 Of the cheese cod most suitable for dishes such as the Hokkaido salmon & flower cheese 70 g flower cheese udon that いっしょが is delicious lightly sharpen it, and bloom; of the flake sharpen; to snacks of knob cheese artefact snacks and the liquor! 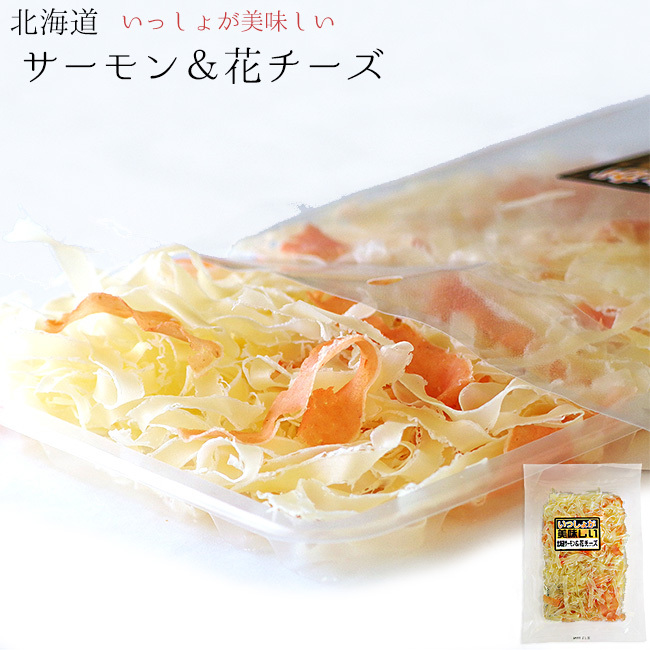 It is ふわっふわの cheese "Hokkaido salmon & flower cheese". 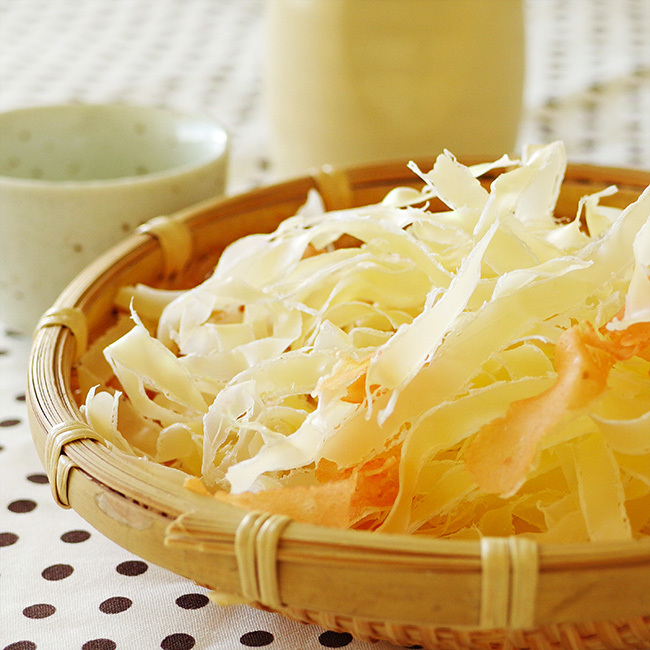 The snacks of the new texture that cheese is very light with the thinness such as shavings of dried bonito, and is delicious! Of course it is smooth, and, as for this light さだからこその texture, moving it has very light flavor and mouth unlike cheese cods. 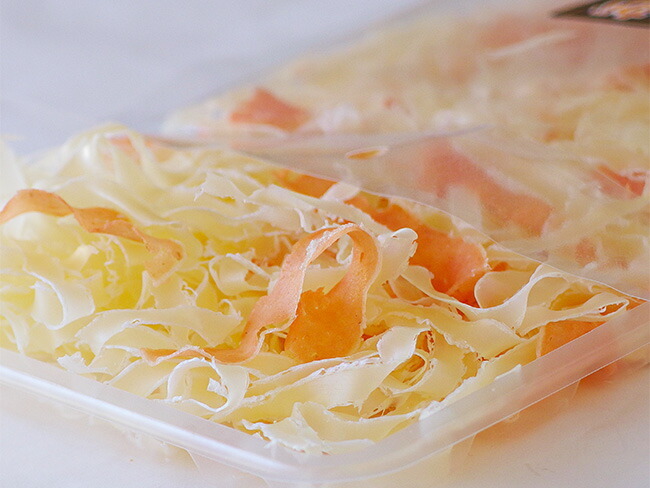 It is the thin cut of the Hokkaido salmon to be contained in the cheese which I sharpened thinly together. The salmon removed a bone and skin well and I customized it in a salmon flake and sharpened it thinly. It is smooth by doing so it and is distinguished for an affinity with the cut cheese of the same thickness. 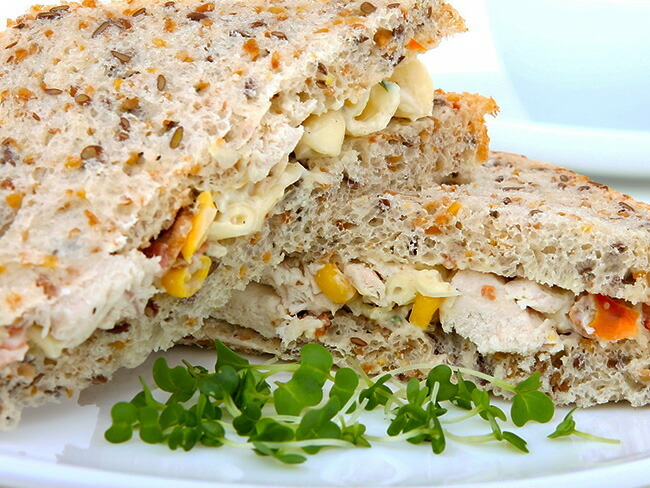 It is just enough, but it is recommended to match with salad or a sandwich. 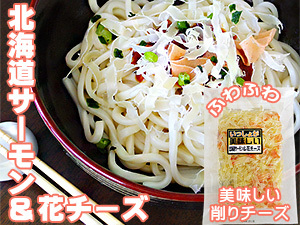 It is the snack which is usable to various dishes depending on arrangement! I match salad! 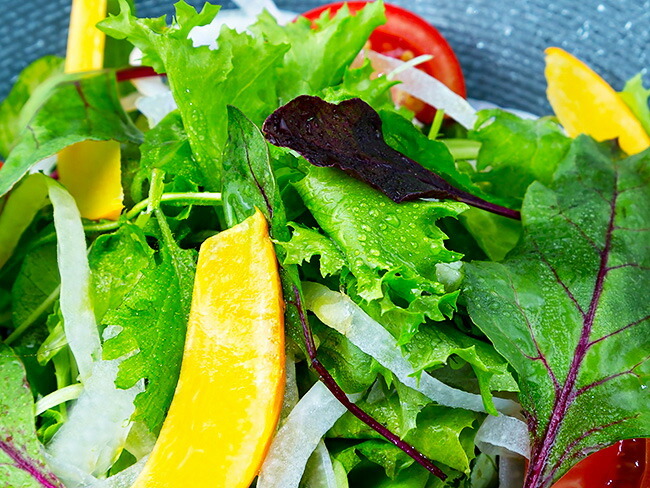 It is taste of the cod cheese, but taste is well good to salad in a light thing, too. It is mellow and is the sense like the Italian! 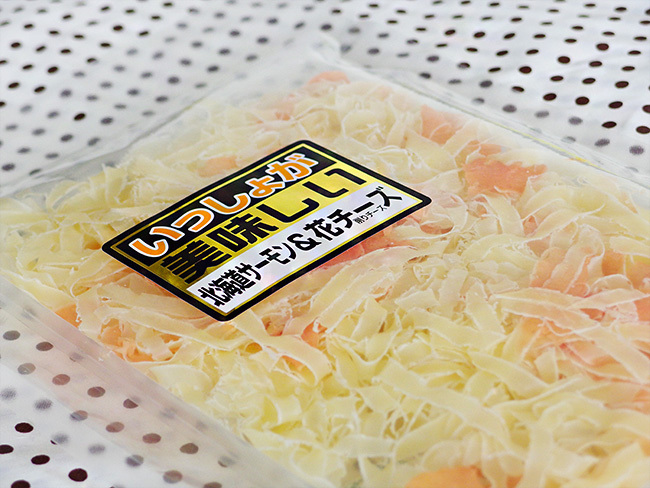 According to the name, it is delicious to eat cheese and Hokkaido salmon together. 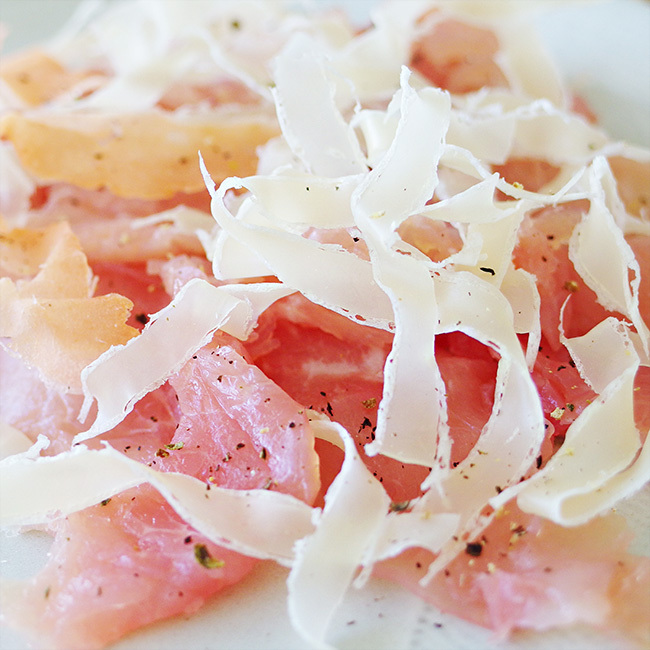 The salmon flake of the pink thin cut matches soft and fluffy cheese! It is recommended I wear soy sauce on burning hot rice a little, and to eat! There are fewer salmons than cheese and may be slightly unsatisfactory for a person liking a salmon, but feels it though this ratio eats if just right. 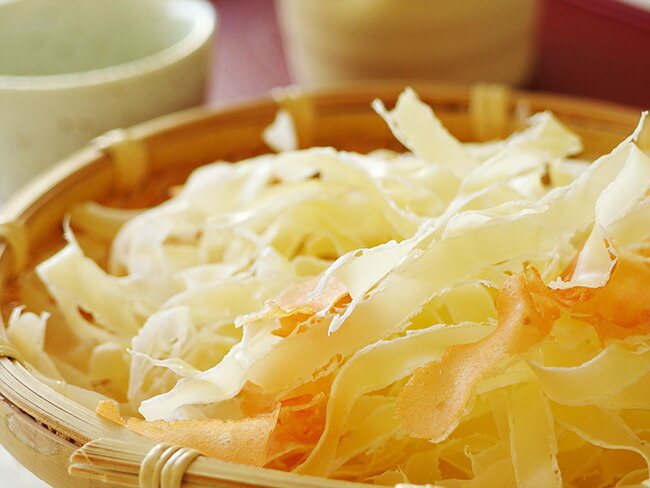 Unlike an appearance, it is the snack which a feeling of fullness is considerably got from when I eat. When it is an image, as I am sharpened thinly, I eat very, and an answer seems that there seems to be no it, but there is a feeling of fullness well because cheese is heavy. In addition, I match to various liquor and tea and a soft drink as well as beer and wine. Therefore I can eat as tea cake and snacks! In substitution for powder cheese! I only put it on the pasta, and a taste of the pasta improves. 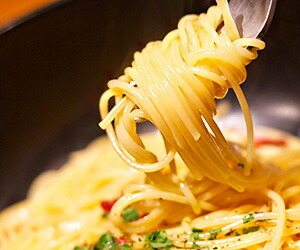 He/she dances on pasta so that the cut cheese which I sharpened thinly when I put it on the burning hot pasta dances it. As pleasant pasta is done visually, it is recommended I hang it right before I eat, and to eat. 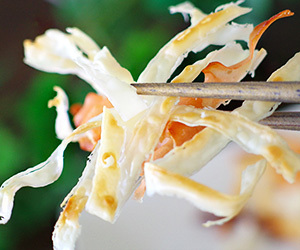 In addition, I sharpen it to a toast and the rice cake which I baked brown and the cheese fits and dances like dried bonito of the okonomiyaki. Please try it! 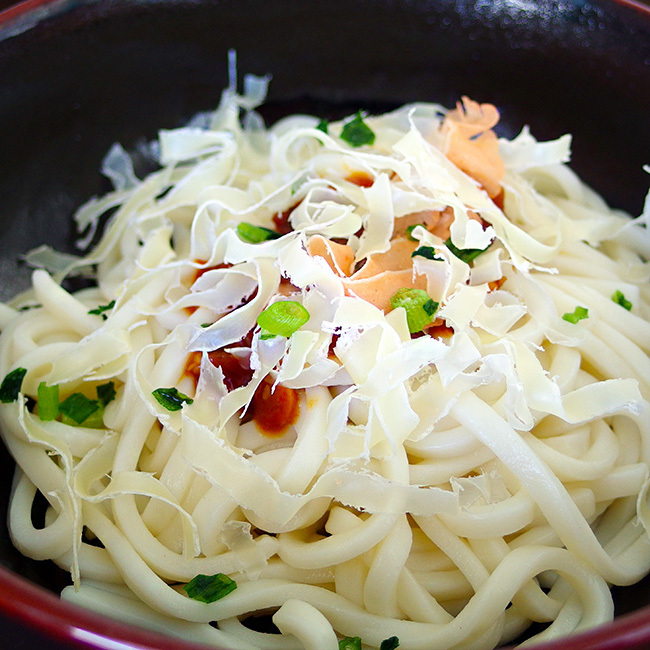 It is [flower cheese udon] that is delicious so as to feel that the flower cheese might be cooked for this recipe. I shine with the ranking first place in a certain recipe site and am a popular recipe. 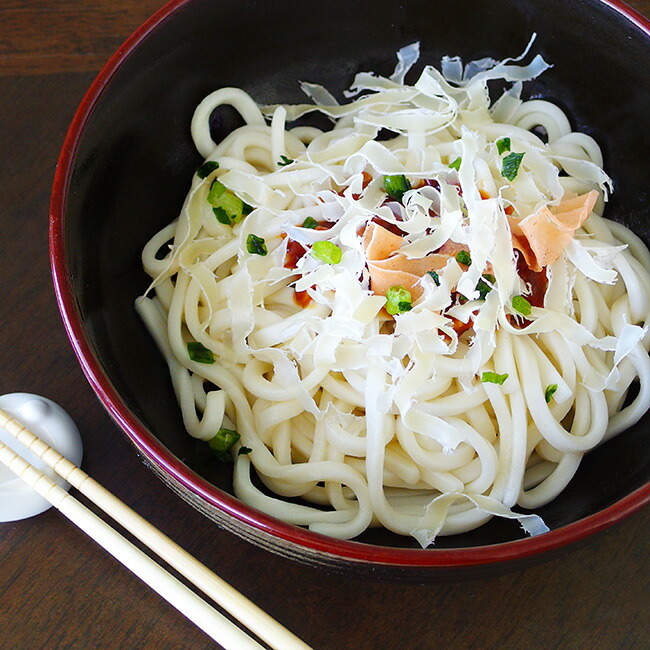 I boil udon and close it with water and sprinkle flower cheese on the top carrying miso anyone. It is good to sprinkle a leek and laver for preference. How to make cheese rice crackers lays a cooking sheet on the frying pan. I put flower cheese on the top and bake it. If I bake the fire by medium fire and am colored, I take every cooking sheet off the frying pan and cool it. It is the completion of the cheese rice cracker in this. I can easily make even an oven and a toaster. It is good to just eat and is stylish even if I use it for the adding of the dish! As it is "Hokkaido salmon & flower cheese", I am glad of the pink one which I point, and a color is as well as a color of the cheese. It is easy and is mixing it rather than cooking or only picks me up. 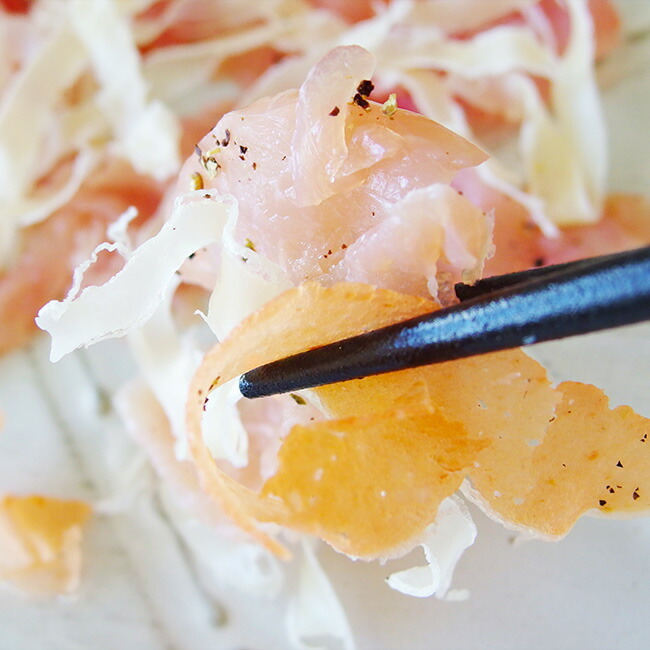 It is only raw ham and black pepper to prepare and picks up this "Hokkaido salmon & flower cheese" on raw ham cut to a mouthful size thinly and only sprinkles black pepper on the top lightly! 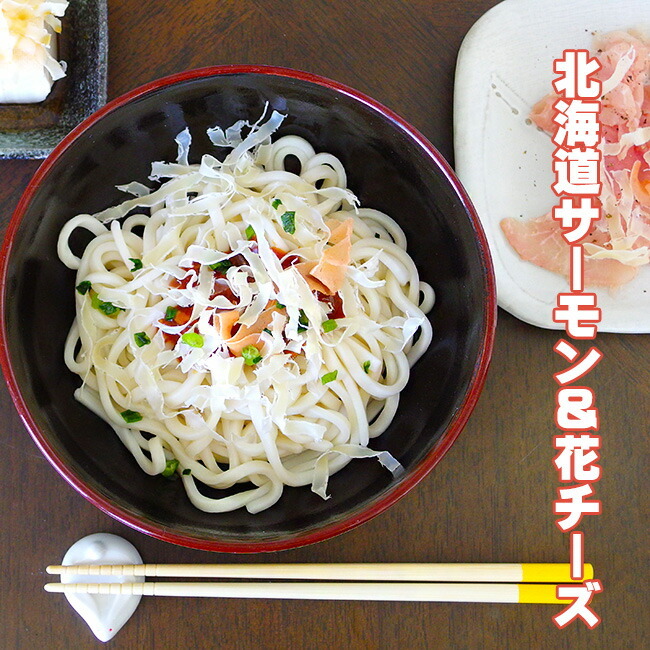 You may already assume it a brief dish when I want one article of side dish and are good to snacks of the liquor. I toss it with salad and am very delicious on the cracker as it is! Because Hokkaido salmon was mixed, as well as cheese, is deep; tasted it. 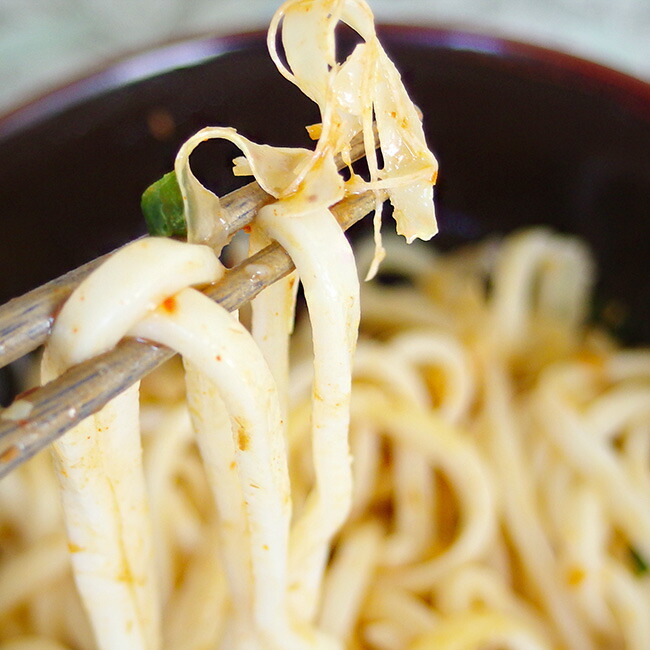 You just eat, and please enjoy it when you use it for a dish! 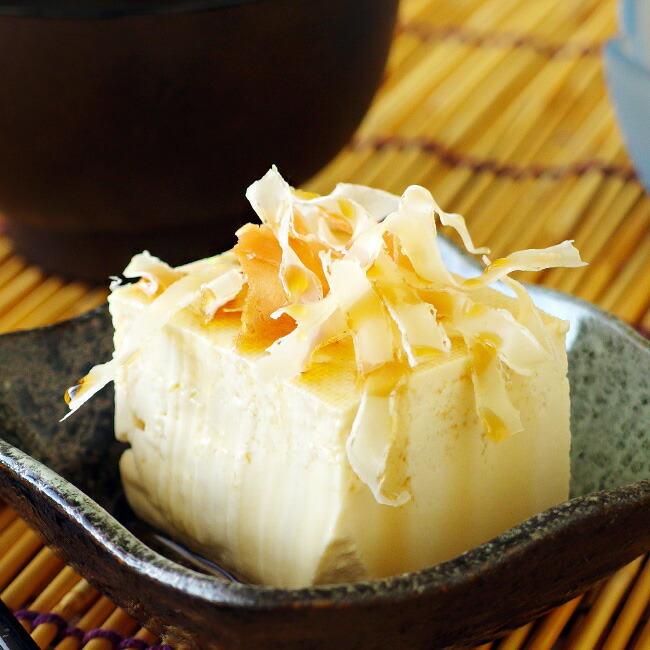 ※You refrigerate it after opening and keep it, and please go up 召 within three days. ※I may see a thing of the black small punctation on a fish meat sheet (thallaseat) part, but this is skin of fish meat which the pickpocket body of the fish meat was not able to remove.